Successfully Added Toy Race Car - Inductive Race Track to your Shopping Cart. 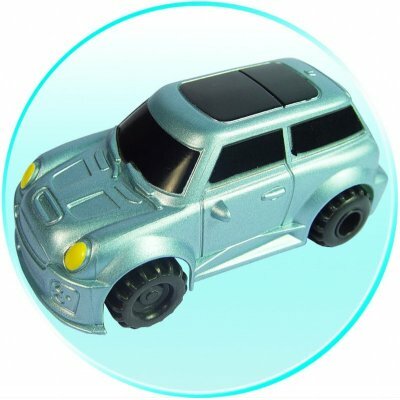 Direct from Chinese Toy Manufacturers, these toy Cars are great little gadget toys that will follow a race track of your own design. This is due to the Inductive Technology built into the car that will allow it to follow lines made on white paper of at least 1/4 Inch. Imagine the fun that can be had by little children as they create their own unique track for there car to follow, without having to worry about expensive plastic or metal tracks. All you need is a marker and white paper and you are off. Better yet, Chinavasion is letting you choose the car or cars that you want, meaning that you can buy as many or as few of each model as you want. This is a surefire high profit gadget toy that is perfect for Birthdays, Christmas, or any other gift giving times and available at Chinavasions low Wholesale price. Car Model(s) Available - 777-005A Race Car; 777-005B School Bus; 777-005C Train; 777-005E Fire Truck; 777-005F Mini Cooper: Please specify the model(s) you require using the comments box in the online checkout process. You can buy as many or as few of each model car as you wish with each purchase.